Franky is a 1 year old American Pit Bull Terrier mix. He was brought to the shelter in a neglect case, and then surrendered. Franky came in with 3 other dogs, all of which he was comfortable around, but he has yet to find a play mate while being at the shelter. ​ Franky is working on learning his basics, being polite (he's such a happy and friendly boy) around new people, and overcoming his dog reactivity. This sweet boy has been through a lot, and we are amazed by how much progress he has made. Franky would make a great dog for someone looking for a very sweet, but potential project-type dog. We love working with project dogs, because you bond so tightly with them while helping them overcome any behavioral issues they are working through. Franky has been neutered, micro-chipped, and is up to date on his vaccinations for $99. He has been at the shelter since 12/05/18. Shannon is a 3 1/2 year old Akita/ Border Collie/ Pit Bull mix. This gorgeous girl was surrendered to the shelter because her previous owner did not understand her strong and confident personality, and had unrealistic expectations of her. Shannon gets along with other dogs, but she prefers the rough and rowdy players. She can hold her own against other dogs who can be rude or pushy, and is great at correcting them when they get inappropriate. Shannon needs to go to a cat-free home, but does fine with kids. She needs a confident owner who will not allow her to get away with bad behaviors, but will help her be the amazing dog we know she can be. She is working on earning her Canine Good Citizens, and we are just working on a few reminders for her. Shannon is house trained and would not mind sleeping on the couch or in the bed. Shannon is spayed, micro-chipped, and up to date on her vaccinations for $99. Shannon has been at the shelter since 12/10/18. 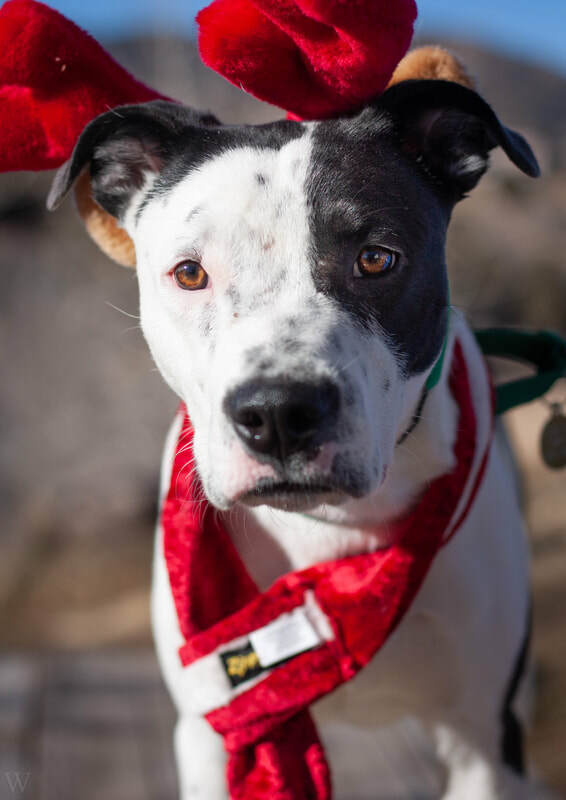 Oreo is a 1 year old American Pit Bull Terrier mix who was surrendered to the shelter due to the death of his owner. He was kept outside 24/7 on a tie out, so it is likely this boy will need some help with housebreaking. But, he is so smart and eager to please, we don't think it should take long for him to figure it out! Oreo would do best with a more active family who can provide him with daily walks and hikes. This sweet boy would make a fantastic adventure buddy! He get's along with other dogs and is super sweet with kids, although we are unsure about cats. He can have a lot of energy, and might be a little too much dog for young kids, so we recommend he go into a home with older kids only. Oreo is working on learning his basic commands and perfecting his leash manners (which are pretty good right now!) and we think he would love to learn some fun little tricks as well. He is what we call an "A" dog, meaning that he has no issues with food or toys being taken away, gets along with other dogs, and has no problem with his face or paws being grabbed. Oreo is neutered, micro-chipped, and up to date on his vaccinations for $99. This sweet boy has been at the shelter since 2/05/19. Brownie is a 4 year old American Pit Bull Terrier/ Mix. This sweet girl was surrendered when her owner died and no one could take care of her. She was kept outside on a tie out 24/7 and we are thinking she is not currently familiar with house training. Brownie is so smart we don't think teaching (or reminding) her will be a big issue, and she should have it down in no time! She gets along with other dogs and is very sweet with kids, although we do not know about cats. Brownie is what we call an "A" dog meaning she does not have any issues with food or toys being taken away from her, doesn't have a problem meeting other dogs spontaniously, and doesn't mind her paws or face being touched. Brownie is spayed, micro-chipped, and up to date on her vaccinations for $99. She has been at the shelter since 2/05/19 and is ready to find her new home!! More info on this big love bug coming soon! More info on Miles coming soon!